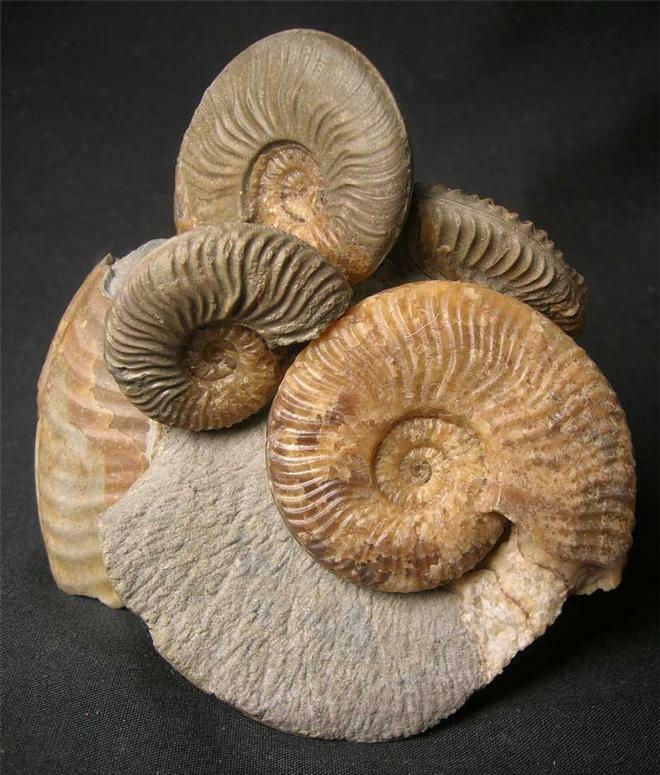 A beautiful group of four ammonites preserved in different shades of yellow calcite. 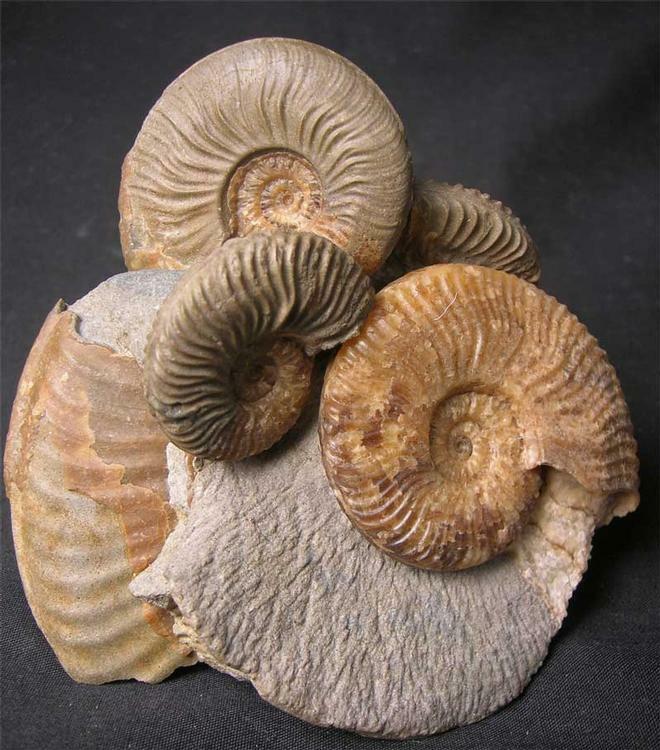 Two of the smaller ammonites are (Ludwigia cf obtusiformis) and there is a very rare smoother type with fine ribbing (Brasilia cf floccosa). 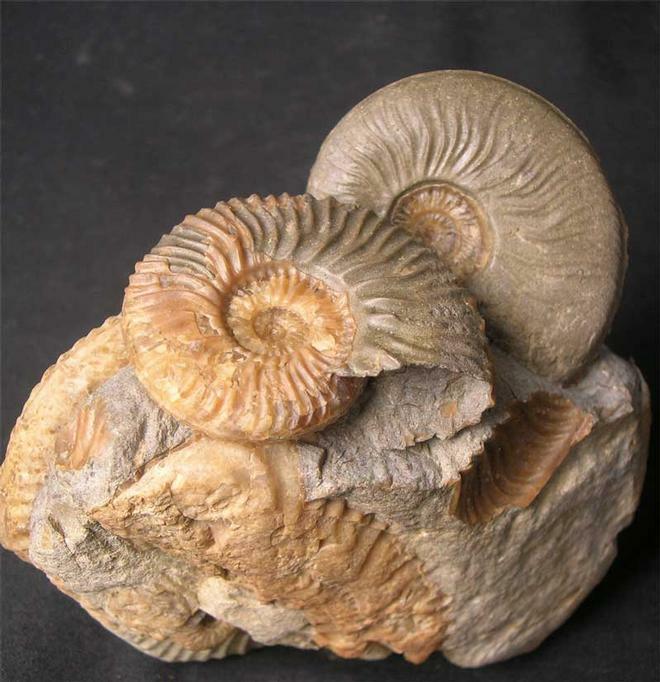 Fossil material especially of this quality from Bearreraig is extremely rare to find thesedays due to the lack of erosion and overcollecting by students, museums and private individuals. Many hours of preparation has gone into this magnificent speciment. 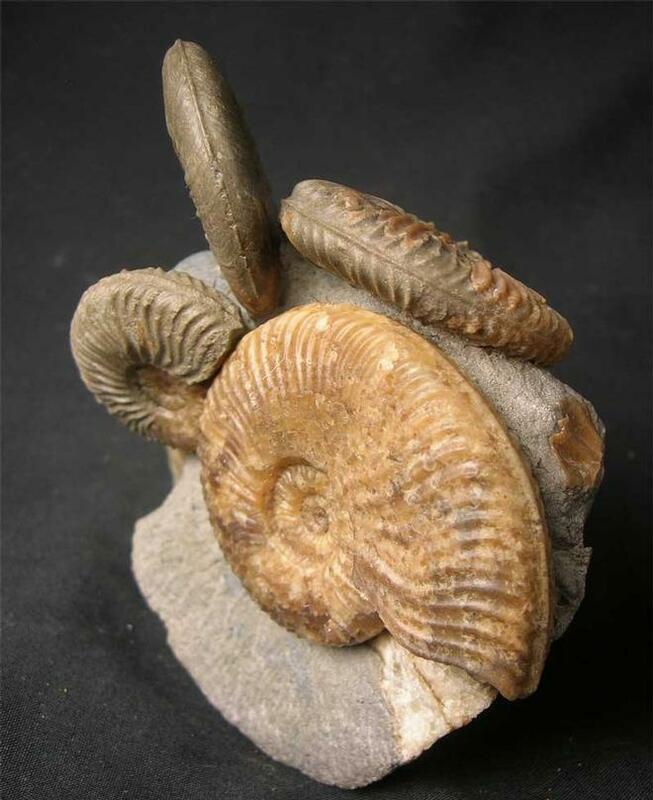 Approximately 175 million years old.